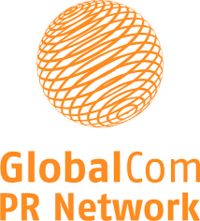 GlobalCom PR Network is a worldwide group of like-minded PR and marketing communications consultancies. There’s almost nowhere we cannot reach. GlobalCom PR Network is a worldwide group of like-minded PR and marketing communications consultancies – 70 partners and affiliated agencies work across 60 countries worldwide in Europe, North America, South America, Asia Pacific, Middle East and Africa. GlobalCom is an association of independent agencies with a proven track record in their domestic markets – we have none of the weak links you experience with the global agencies. And through GlobalCom we can offer a single point of global management, co-ordination and billing. The network enables us to offer clients the best of both worlds – local power with global reach.